Runs on the second Saturday of each month. 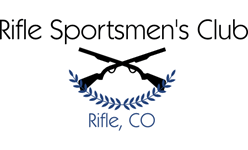 Sign up starts at 9:30 and match starts 10:00 A.M.
Bring your rifle, pistol and shotgun. Bring plenty of ammo as usual. Shooters should have at least 10 slugs for this match. Remember ALL shotgun rounds need to be lead only. There will be three stages with 30 rounds of mixed ammo per stage. This match is limited to 20 shooters only. If you don't sign up you don't shoot. NOTE: Range is open to members, provided all safety rules are followed and member advises Division Chair of their arrival to coordinate cease-fires, etc.